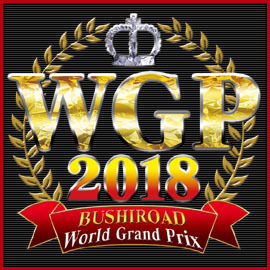 2018 WGP Regional Applications Open! Hey, everyone, it's that time of year again! We're looking for requests for Regional locations for the 2018 WeiB Schwarz WGP North American Tournament! Tournaments across North America will be used to select Regional Champions, who are given entry into the National Tournament, to win a trip to Japan to play in the World Championship! More details soon, but we just got the go-ahead to take in applications for events, and that is just what we are doing! If your site is chosen, you'll receive promotional materials to hand out, full judging support (either onsite or via remote), and the top player(s) at your event will get invitations to the WGP Nationals! Now, to help move things along, the application this year is more in-depth. Also, please follow instructions properly - being able to do so is vital to having an event in your area. Note that you can still play in an event that you request, so no worries there! You will need at least one person that doesn't play in the event to help out, but they don't need to be a WS veteran, just someone that can follow instructions and communicate effectively - a shop employee, for example. After we get your application into the system, you may receive one or two information request emails, for things like "what days do you have free for an event", or maybe "send us a picture of your play area". Please respond promptly to these emails, as they are specifically done to help your area get an event. Some disclaimers: Applying and/or receiving followup emails does not guarantee you an event, nor does it guarantee the number of spots you will receive. If you are requesting it for a specific store, and you aren't that store's owner, get permission from them first to do this. The event can be upwards of six hours long, so be prepared to spend that amount of time on that date for the event. 1: are you representing a store or playgroup? 2: what is the name of that store or playgroup? 7: have you personally run a WS WGP regional before? if so, when and which one? 8: has anyone from your group/store attended Nationals before? if so, who? 9: will you personally would have cell/internet access during an event (to use our pairing server and communicate via phone/Skype for event/judge stuffs)? 10: Has the store/playgroup you are requesting held a WGP regional in the past? If so, which one(s)? 11: 100 words or less on why you should get an event. 12: Are you able to follow instructions and remain impartial? 13: The names and contact information of people that will be able to help at your event (even just one or two is great). Get their permission to list them here! If you plan on playing in the event yourself, make sure to include the name of the person that will be the "non-playing helper". 16: do you have the approval of the owner/manager to request this? 15: what is the location's address? "We can be open 8AM to midnight on all those Saturdays, and 10AM to 10PM on all those Sundays, since we will move any events we have / we have the space for multiple events. So, our availability is 'All Sat: 8A-Mid. All Sun: 10A-10P.' However, if you have the ability, please don't schedule something on Oct 8-9, that's a big prerelease for another card game - while we have the room for both, we want to keep our staff free if possible"
is music to everyone's ears. give us as big a range as possible, make a note of days you would prefer (and let us know it is okay if you don't get those days), and it will make it so much easier to get your application approved. That's it! We'll reply back within one week - if you don't hear from us by the deadline, drop us an email immediately to doublecheck. So, get the word out to all your WS friends online, and help us get those applications in! Thanks as always for supporting WS and the WGP!